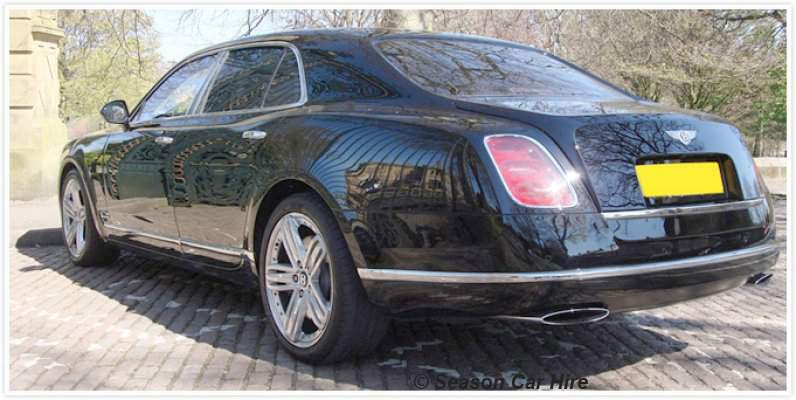 Season Car Hire offer Bentley Mulsanne to hire anywhere within the UK. Here at season car hire we strive to deliver the best service with the best cars. 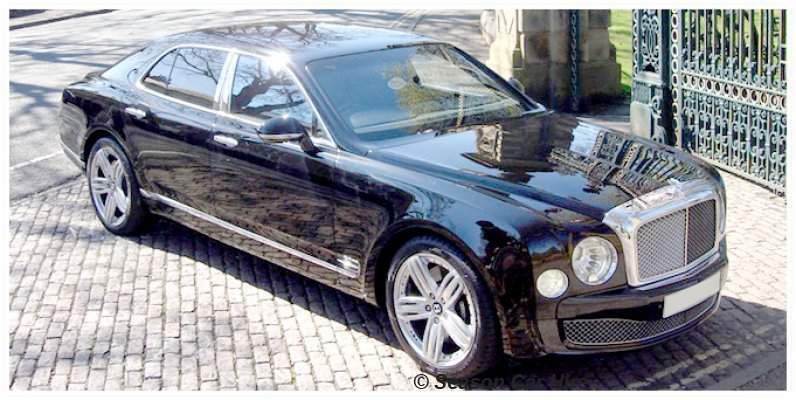 Therefore, we offer rental on the classic Bentley Mulsanne. Select a Bentley Mulsanne hire car for any special occasion. The Mulsanne, a saloon car of timeless luxury and comfort, is the perfect fit to arrive at any event in style. It is one of our client's favourite choices for a wedding car and prestige business use. Bentley first introduced the Mulsanne in 2011 as a new sedan to replace the Arnage model. The creation of the Mulsanne was Bentley's way to 'modernise' their luxury car engineering. Throughout the years, Bentley has enhanced the vehicle with redesigned headrests and additional entertainment factors. In 2014, a Wi-Fi router was also added to the options list when purchasing a Mulsanne. When you rent our Mulsanne, you are guaranteed the Bentley promise of effortless performance coupled with handcrafted luxury. The Mulsanne look is ageless, but also has a contemporary feel in the large infotainment screen with iPod connector below. The tall, handcrafted leather seats are the last word in style and comfort, with masses of head and leg room. The cabin is opulently created with wood, leather and stainless steel, giving the height of luxurious motoring. 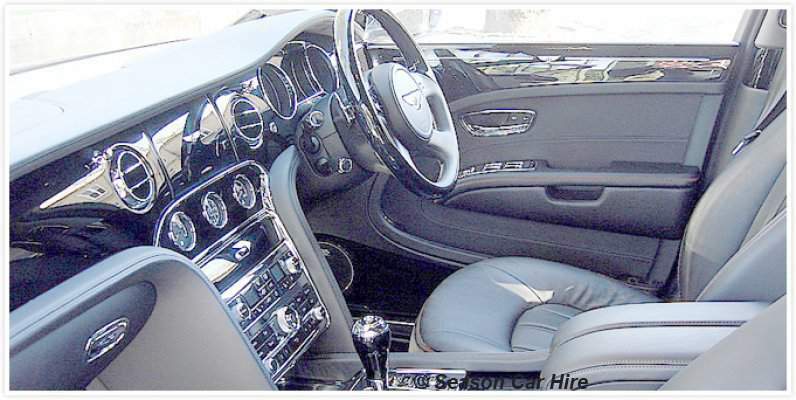 Our stunning Mulsanne is black with black interior. Elegant. Prestigious. Class. You won't be disappointed when inside the Bentley Mulsanne. This wonderful motor comes with Air Conditioning, Heated seats, Sun roof and USB connection! Driving the Bentley Mulsanne is an experience not to be missed. The 6.75-litre twin turbocharged V8 engine combined with adaptable air suspension gives you hard to meet power and comfort. Don't fancy driving? You can even hire the Mulsanne with a chauffeur, allowing you to arrive at your destination fresh and with maximum prestige. Enjoy the Mulsanne for the comfort it has to offer. 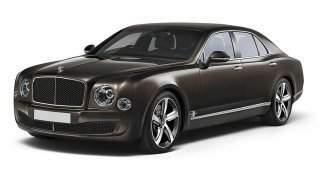 Do not miss out, hire our Bentley Mulsanne today! This vehicle is part of our Luxury Car Rental London fleet. Please note daily permitted mileage is 100 miles a day. 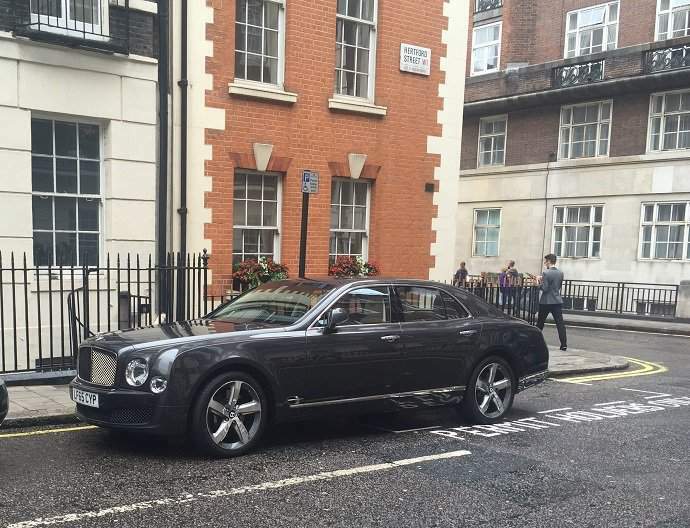 What is needed to rent a Bentley Mulsanne? A security deposit of £3500 is required via debit or credit card.